The size of the picture will exactly match the extents of the objects. No large empty border to fit the AutoCAD window. The picture is transparent, the background color is removed. You can assign line weights based on colors. In TILEMODE 0 you can merge paperspace and all viewports. The picture can be converted to black and white. 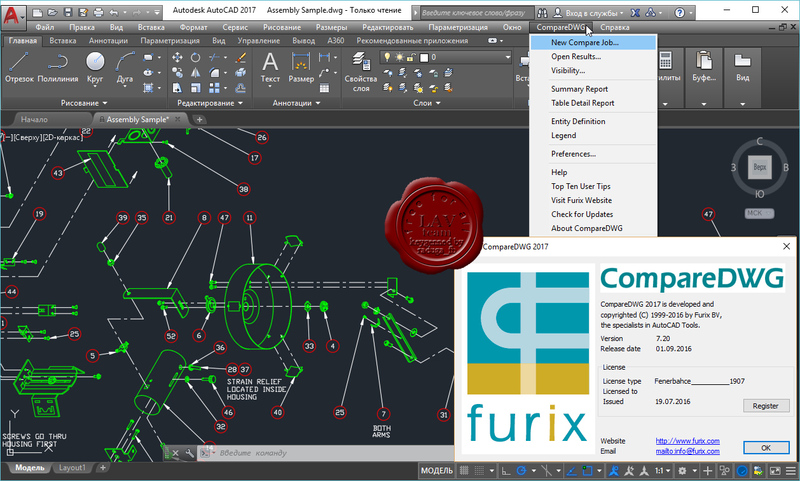 CompareDWG finds the differences between two revisions of an AutoCAD drawing. This program is available for all full AutoCAD versions. Find the differences between two revisions of an AutoCAD drawing. 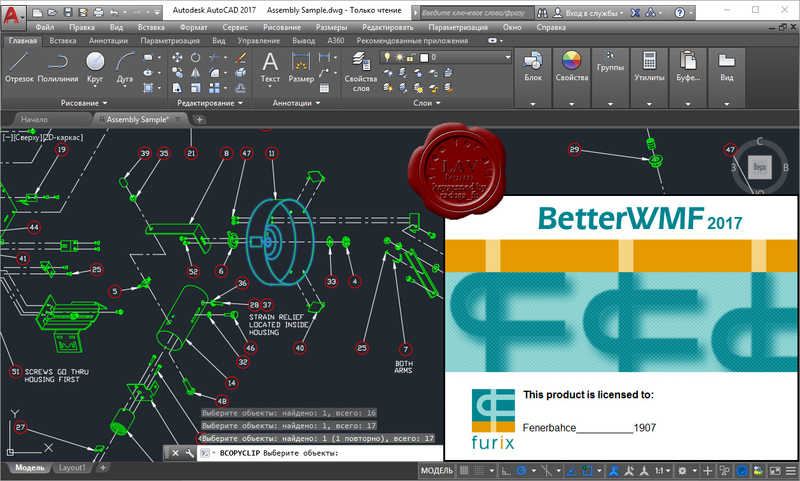 In Detailed Mode, compare the complete AutoCAD internal representation of a drawing, not just the graphical appearance. In Basic Mode, compare the drawing graphics only (no matching AutoCAD handles are needed). Display the differences in AutoCAD, using contrasting colors for Added entities, Deleted entities etc. Choose your own markup colors, a legend can be created automatically. Save the differences to separate files. This creates for example a DWG file which contains all new entities. Create reports on the types and quantities of the entities found in the drawings. Compare table entries (layers, linetypes etc) and present the differences in a report. Include CompareDWG in your own LISP applications. Also works for Architectural Desktop and Autodesk Map, but not for Mechanical Desktop or Inventor.